Uber is giving up on the fight for ride-hailing customers in Southeast Asia. The US company is selling its business in the region to local rival Grab, the companies said in a statement Monday. Uber won't receive any cash from the sale. Instead, it will get a 27.5% stake -- worth several billion dollars -- in Singapore-based Grab. The companies declined to disclose the deal's price tag. Grab says it operates in 191 cities in the region -- about three times as many as Uber -- and also offers motorbike, carpooling and cashless payment services. Uber's services in the region -- including ride hailing and UberEats -- will be available for the next two weeks via the Uber app. After that, passengers will need to download Grab's app or that of another local ride hailing firm. This is just the latest international retreat by Uber, which sold off its operations in China in 2016 and in Russia in 2017. The withdrawals highlight the limits of the company's aggressive efforts to dominate ride-hailing in dozens of countries around the world. "One of the potential dangers of our global strategy is that we take on too many battles across too many fronts and with too many competitors," Uber CEO Dara Khosrowshahi said in an email to Uber staff about the Grab deal. Selling out "puts us in a position to compete with real focus and weight in the core markets where we operate, while giving us valuable and growing equity stakes in a number of big and important markets where we don't," he said in the message, which was posted on Uber's website. 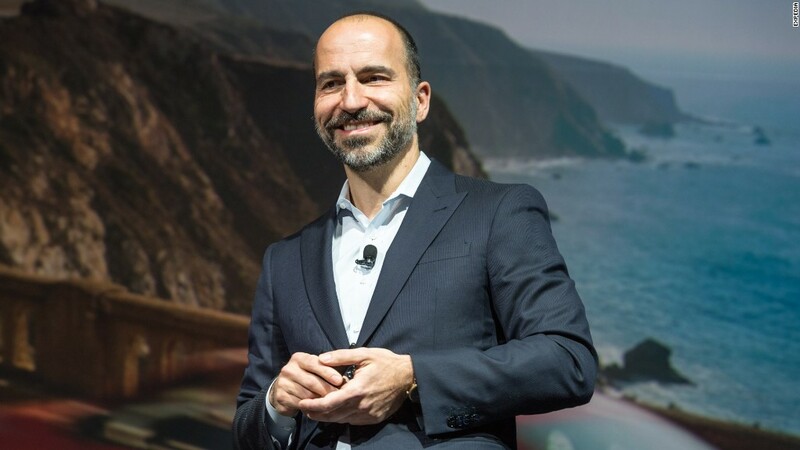 Khosrowshahi took over as CEO in August, replacing Travis Kalanick who was forced out by major Uber shareholders after a series of crises. Uber has been trying to compete with Grab in eight fast-growing markets across Southeast Asia, including Singapore, Indonesia and Thailand. The US company said it invested a total of $700 million in the region. The other Southeast Asian countries in which it operates are the Philippines, Malaysia, Vietnam, Myanmar and Cambodia. Exiting those markets is a remarkable shift in Uber's strategy. Less than a year ago, Andrew Macdonald, the company's top executive for Asia and Latin America, was boasting about expansion in the region. In an interview with CNN in July, he said he was "pumped about the momentum we've got," particularly in the Asia-Pacific region. Uber launched its services in Cambodia just a few months later. But two major developments have happened since then. Khosrowshahi announced in November that the company plans to go public in 2019, a move that adds pressure to shed its less successful operations. And Japanese tech company SoftBank (SFTBF) agreed to buy a 15% stake in Uber at the end of last year. SoftBank is also a major investor in Grab and several other top ride-hailing companies around the world. A top SoftBank executive, Rajeev Misra, told the Financial Times in January that Uber should cut its losses in unprofitable markets and focus on its businesses in the US, Europe, Latin America and Australia. Misra made the remarks shortly after becoming an Uber board member as part of the SoftBank investment. While Uber is exiting Southeast Asia, it is still locked in an expensive battle in India against local rival Ola -- another company in which SoftBank holds a big stake. But Khosrowshahi indicated that Uber does not have plans to quit India or other major markets anytime soon. "It is fair to ask whether consolidation is now the strategy of the day, given this is the third deal of its kind, from China to Russia and now Southeast Asia," he said in the email to staffers. "The answer is no."